An initiative from Het Waterhuis, a Rotterdam-based theatre company, in the wake of the Freebirds project - Roel Twijnstra, artistic director, in collaboration with Kees van Loenen, Jolanda Spoel and South-African colleagues Peter Ngwenya, Jerrey Pooe, Technikon-teacher Janine Lewis and actors Tipo Tindisa, Josias Moleele, choreographer Portia Maskigo. 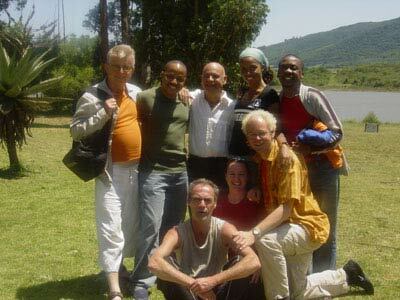 Note: Every year a team of stage-directors, teachers, choreographers and actors work with a selected group of township theatre groups from all over South-Africa to devellop their theatrical skills. 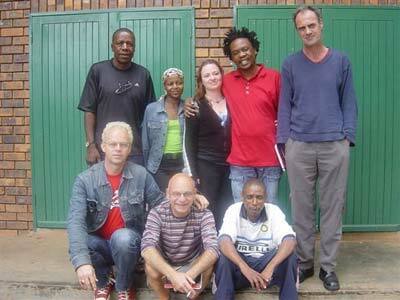 The subject of the plays is het HIV-AIDS pandemic and related issues in South-African society. 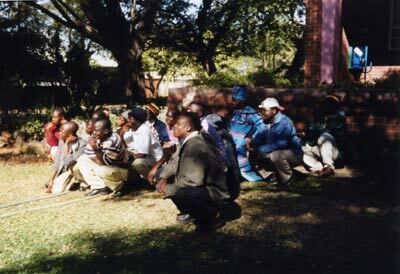 The groups involved are from Northern Province (RYDO, TVAAP), Johannesburg (SYDS) and SOS Diepsloot, Durban (Eager Artists) and Mpumalanga (NDLOVU).